One of the many trout streams in the Town of Beecher. The Town of Beecher is a town in Marinette County, in Northeastern Wisconsin, that is dominated by public lands, trout streams, and trails. Nearly a third of the town is public land, almost every river or creek has trout in it, and the ATV/snowmobile trail system is one of the most scenic in the state! There’s around 9,600 acres of public lands in the Town of Beecher. 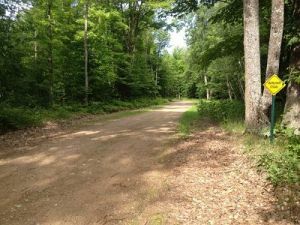 The majority (7,900 acres) are Marinette County Forest Lands, providing great hunting and fishing opportunities and plenty of woods to bring out the explorer in you. Over 1,600 acres are state lands, dedicated as the Pike Wild River, Miscauno Wildlife Area, and Menominee River Natural Resource. The Pike River is only 1 of 4 rivers in the state designated as a Wild River due to its untouched natural beauty. Unique to the town is the Miscauno Wildlife Area. Consisting mostly of the Miscauno Cedar Swamp Wildlife Area, it is a good bedding area for the deer as they wait for a chance to forage in the neighboring fields. Two Class 1 Trout Streams, the South Branch of Miscauno Creek and one of its tributaries known as Creek 24-5, meander through this wildlife area and have native brook trout. The Menominee River Natural Resource preserves the shores of this boundary water, and no journey to the area would be complete without taking a hike to enjoy Pemene Falls. 10 Class 1 Trout Streams are located within the town, providing every trout angler with the chance to fish in their preferred environment. If you’d rather fish from the comfort of your boat, the town also maintains 2 boat landings. One is on Upper Lake, a 21-acre lake with a maximum depth of 18 feet, where panfish are abundant and largemouth bass are common. 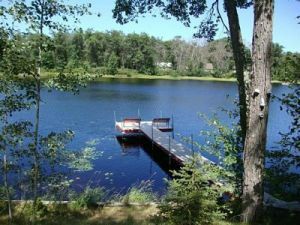 The other boat landing is on Beecher Lake, a 34-acre lake with a maximum depth of 47 feet and an average depth of 18 feet, with northern pike and largemouth bass common and panfish present. Fun, winding trails through the woods! Snowmobile Corridors 1 & 3 meander through the Town of Beecher and provide access to most points in the county and beyond. 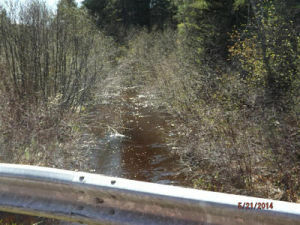 Most of the trails in the town are maintained by the Pemene River Riders, including the winding snowmobile and ATV trails through Marinette County Forest Lands. Ranger City Riders keep the remainder of the trails in the town in prime riding condition. The Town of Beecher is conveniently located along US Highway 141, and County Highways L and Z provide access from the highway to the western and eastern portions of the town. The town is over 31,600 acres and had a 2010 Census Count of 724 people, or 15 people per square mile. The Town of Beecher is bordered by: the Town of Amberg to the south; the Town of Dunbar to the west; the Town of Pembine to the north; and, the Upper Peninsula of Michigan to the east.